The name SBTRKT, pronounced subtract, and while confusing to the eye has a powerful message behind it; it is an alias used to support the concept of anonymity. 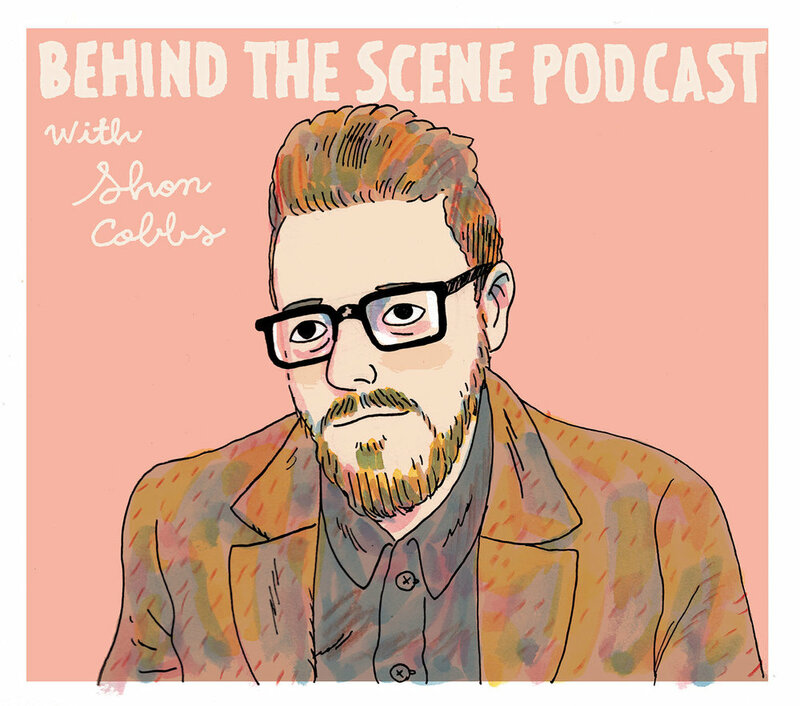 As Aaron Jerome (the man behind the mask) has explained during an interview with Clash Music, “I’d rather not talk about myself as a person, and let the music speak for itself. The name SBTRKT is me taking myself away from that whole process. I'm not a social person, so having to talk to DJs to make them play a record is not something I want to do. It's more about giving them a record as an anonymous person and seeing whether they like it or not. If they play it, they play it." If you have never heard of SBTRKT, go HERE and watch the video of him and his frequent collaborator, Sampha, live at Abbey Road. Seriously, go now and listen, I’ll wait. It is obvious after watching the video to see how hard the UK duo works during a show. While Jerome utilizes electronic and acoustic drums as well as pulling samples using a mixing desk, his partner Sampha plays the keyboard, works the vocal loops, and sings providing a smooth flow with a unique sound. 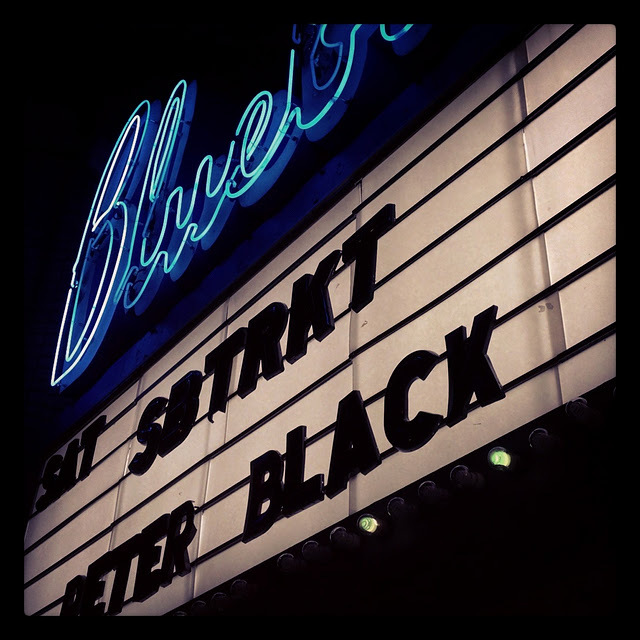 With more than a half dozen shows happening around Denver last Saturday evening, I was surprised by how many people filled the Bluebird that night. It was certainly more packed than two nights prior for Miami Horror. 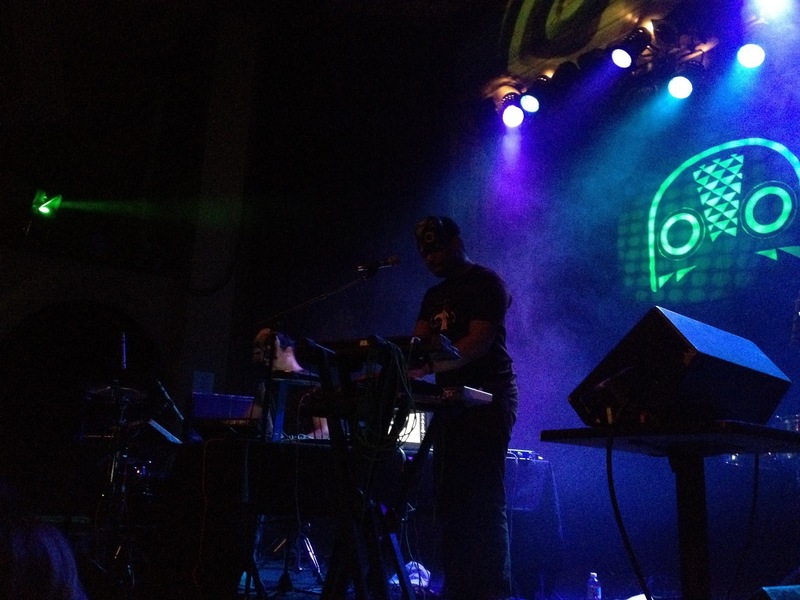 SBTRKT appeared to have quite the following, at least here in Denver. There were dozens of people there all wearing homemade native ceremonial masks inspired by the one SBTRKT wears on stage.